Selling your house without a qualified agent is more than sticking a sign in the yard and putting an ad in the paper. Is saving on the commission worth it? Consider these points. Before showing your home, the buyer’s agent will most probably seek the seller’s signature on a “one time showing” agreement, providing that the seller will pay a three percent (3%) commission if his buyer closes on a purchase contract. If the seller refuses, the house will probably not be shown, and the seller will have lost a potential buyer. So, the FSBO option only ever had the opportunity to save on half of the six percent (6%) commission. Furthermore, that buyer’s agent owes his loyal representation only to the buyer. The seller is on his own and gets nothing in the way of advice for that three percent (3%) that he has agreed to pay. Does he need that advice? What is he going to do when a home inspector, whose job is to find problems, issues a dirty report that provides the basis for the buyer to seek a substantial price reduction? How is he going to deal with an appraisal that comes in low? How much experience does the seller have in selling houses? Has he ever negotiated a contract on an investment as large as his house? His experienced agent will have been involved in many home sale transactions, and he will have the advice of his colleagues to know how to address the issues that inevitably arise. I guess this is the FSBO strategy. Price the house, and we will assume the seller gets that right, then reduce the price by three or six percent, depending on whether the buyer has an agent or a one-time showing agreement is signed, and the seller will have a pricing advantage over other listed houses in competition for the buyer. 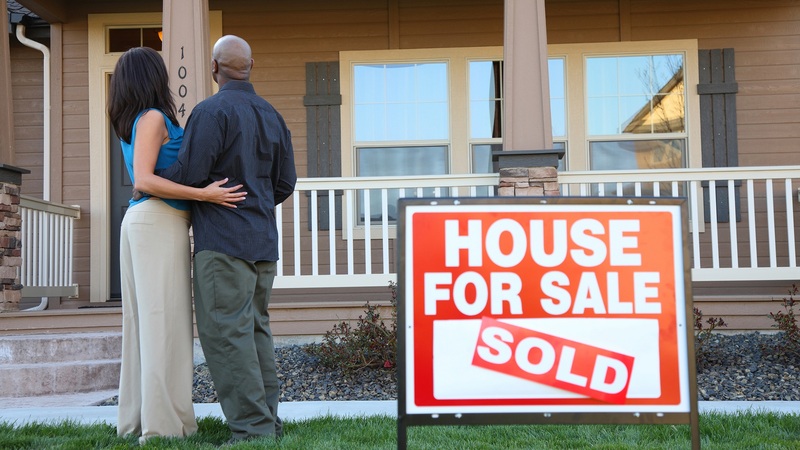 This strategy ignores the buyer’s strategy and the reason the buyer is looking at FSBO’s. The buyer will look at the price and make an offer that subtracts three or six percent. Both buyer and seller cannot save on the commission. In selling, this is probably the most important matter and you want to get it right the first time. A pricing strategy that relies on meeting in the middle will result in overpricing the house, and keeping buyers away. An experienced agent has the tools to find that number based upon the sales in the current market, that is, the past six months or more depending upon economic stability, sales of comparable homes nearby, as well as active competitive listings of comparable homes. You can hire an appraiser for $200+, but we sometimes find that appraisers include foreclosures and other recent sales that could hardly be considered “comparable.” Your agent will probably have actually been in these other homes, and he will be knowledgeable about which neighborhoods are trending up in price and which are trending down. If your FSBO home is not on a well-travelled street and all you have is that sign, it may as well be invisible Potential buyers will be. New studies have shown that up to 91% of buyers (up five points from only a few years ago) search online for a home. Listing your house with an agent and giving it a presence on the multiple listing service puts your home in front of 1400+ agents (and growing), each having contact with actual buyers, people having made the decision to buy and are not just tire kickers. Searching listings that agents have loaded on the multiple listing service, buyers can narrow their search by as many as 118 different criteria. For the FSBO seller, there are several websites. FSBO.com, like most of them, allows a buyer to narrow a search by zip code, price range and number of bedrooms, that’s it. Moreover, much to the frustration of buyers, the information about homes on those sites is often stale, because unlike the multiple listing service, there is no mechanism to track sales and withdrawn homes. The true interest of these FSBO sites is to sell advertising, not your house. As previously stated, you can’t just put a sign in the yard and an ad in the paper. A successful internet strategy is critical to putting your house in front of as many potential buyers as possible, and for an individual, that can be expensive, time consuming and frustrating. From Coldwell Banker Residential Brokerage, a listing goes out to 725+ internet search engines. This number keeps going up. Realtor.com, Yahoo, Google, Trulia, and many more are included. Additionally, each agent has their own webpage, and, of course, buyers have access to MLS through this website, walt-smith.com. We also feature houses on our Facebook business page, which now has about 1376 “likes.” That means that a house we feature can be seen not just by our “friends,” which number 5000+, but also by their friends when they share the post or comment upon it, so that exposure grow geometrically. As industry disclosures and regulations have become mandatory, the paperwork involved in selling and buying a home has increased dramatically. It is a lot to learn, and agents are timely educated about every change at sales meetings and through their continuing education classes. We use a contract that is regularly studied for compliance with new laws and for clarity that later avoids potential differences of interpretation and litigation. You are at work and the phone rings. This potential buyer is in your driveway and wants to see the house. How flexible is your job? The situation will be impossible if you are out of town or have already moved from the area. “Agents show what they know.” Will you be able to lure agents to an Agents Open House? Besides the constant need to keep the house and yard neat, selling a house is full of inconveniences and, sometimes, risk. Not long ago, a Texas agent met a “buyer” at a listing. She was raped and murdered in the house. It seems to happen every year and continues to highlight the risk of allowing a stranger into the house, prompting agent classes in safety and self-protection. Many women agents will not do an open house without having their husband or a friend also present. It is something to consider. An agent who does his job is worth the money he makes in commission. My listings are staged, photographed, listed on MLS and splattered across the internet. Oh, and we put a sign in the yard. Give me a call if you want to talk more about it.